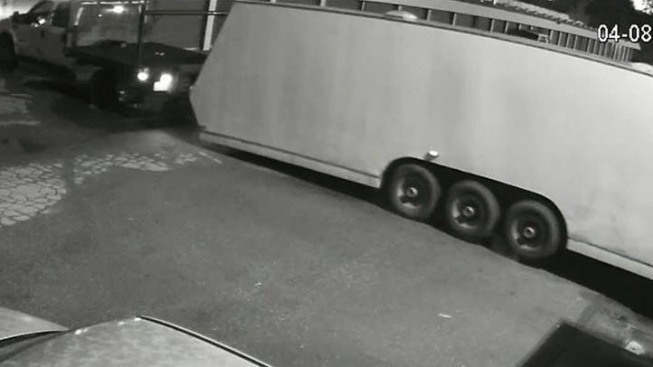 Santa Cruz police are on the lookout for a thief who they say on Saturday first stole a van, and then returned to swipe a 32-foot trailer that contained a race car and nearly $35,000 worth of tools. The crime was committed early Saturday morning on the 300 block of River Street, according to police. Surveillance footage captured the suspect first driving away with the van. The thief then doubled back in a truck, before fleeing with the race car trailer, police said. People with information are asked to call the police department at 831- 420-5820. Anonymous tips can be left at 831-420-5995 or online.